Ride Again! 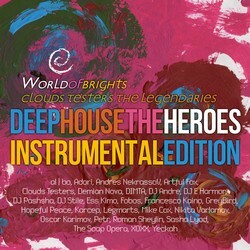 One more time the Clouds Testers The Legendaries / WorldOfBrights label collects full-of-desire official remixes for al | bo and Clouds Testers (main label artists) in 5th massive "Deep House The Heroes" karaoke compilation - to energize dance floors of all continents around the world. 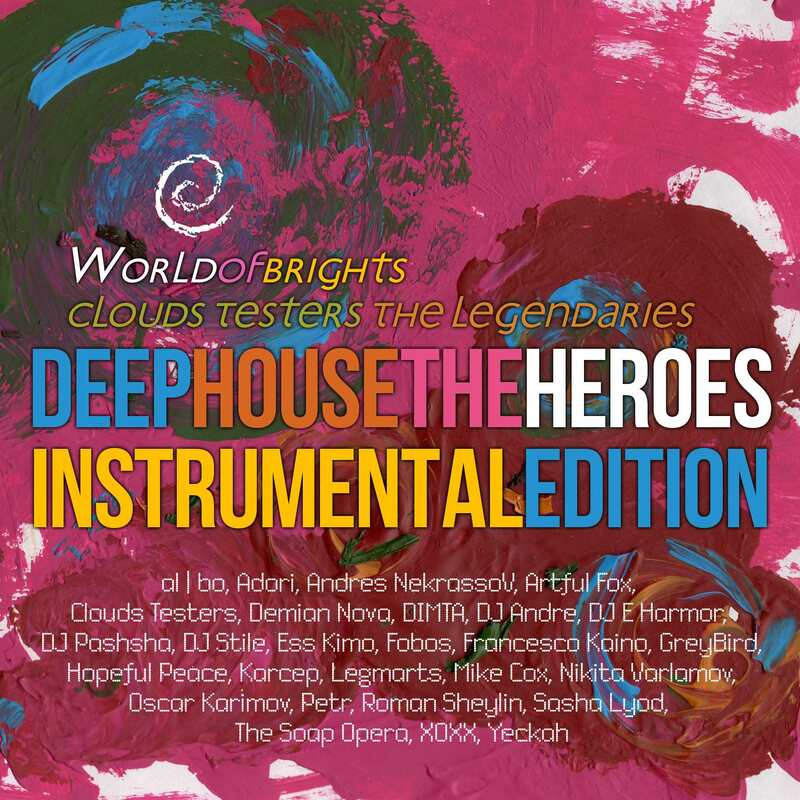 Now 27 energetic musical project from Russia, Ukraine, the Netherlands, Belarus, Kazakhstan - al | bo, Adori, Andres NekrassoV, Artful Fox, Clouds Testers, Demian Nova, DIMTA, DJ Andre, DJ E Harmor, DJ Pashsha, DJ Stile, Ess Kimo, Fobos, Francesco Kaino, GreyBird, Hopeful Peace, Karcep, Legmarts, Mike Cox, Nikita Varlamov, Oscar Karimov, Petr, Roman Sheylin, Sasha Lyod, The Soap Opera, XOXX, Yeckah will pump the membranes of your headphones and quake the dance floor of favorite club! Choose between the original (vocal) and instrumental (karaoke) release' versions available under "Enthusiastic Edition" and "Instrumental Edition" titles and dive this music with genuine enthusiasm.